Two people. Trapped in an abyss. Refusing to get along. In this absurdist/existentialist play two people struggle with feelings of fear, disconnection and anger at each other, the space and themselves. With no memory of who they are or who they are to each other, they have to confront how and why people come to hate each other, as well as how to move forward. This is a companion piece to last year's Anomie (winner of the Rintoul Award for Best New Manitoba Play at the 2017 Winnipeg Fringe). 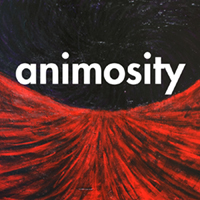 Billed as a companion to last year’s production of Anomie, Animosity proposes the same setting with a familiar intro. If you did not see last year’s edition, the first scene brings you up to speed. If you did see it, the first bits play like a rerun. The premise continues to be fascinating and intriguing but a bit less repetition would engage the return viewer much quicker. As well, last year’s venue suited the play better than this year’s. The actors still make it work but you need to use your imagination a bit more. Also, the location sits in the (cool) basement below an active restaurant and lounge. The noise upstairs can be a bit of a distraction, but you soon get over it. As a tip, please do not move your chairs together when you enter the venue; they’re placed where they are on purpose. Whereas Anomie explores the concepts of “is the grass always greener,” the current show prods into the effects of desolate isolation and the desperate grasp for companionship. Faced with an impossible situation, what happens when you take for granted what you have—then you lose it? This engaging chapter takes you on another introspection into the endless channels of the human psyche. What is the true abyss? Does anyone know? Nagilum? Hopefully there will be another installment next year. Can our heroes ever get their answers or are they doomed on Gillligan’s Island? Listed at 60 minutes, the actual run time lasts only 44 minutes.